I actually lost a whole bunch of weight using Weight Watchers right after my husband and I got married. As the baby weight (I can still call it baby weight even though she’s 3 1/2, right?? )/food blog/turning thirty pounds started to creep up, and after realizing that it’s just the best fit for me, I joined Weight Watchers again the day after Christmas. So these are definitely the new points. My favorite topping is a big spoonful or two of Pico de Gallo. It adds a lot of fresh flavor with almost no extra calories. and a lot of stuff from your food storage: canned tomatoes, tomato sauce, corn, taco seasoning, and kidney beans. Oh, and a fresh onion and some fresh garlic. See, I told you we were broke college students when we made this all the time! Heat a large non-stick pot over medium heat. When ready, brown the ground beef, chopped onion, and minced garlic. Add the taco seasoning and 1 cup of water. Drain and rinse your kidney beans. Just in case (and I totally am not speaking from any kind of firsthand experience here), the easiest way to do this is to drain and rinse the beans in a colander. Don’t try to drain the liquid from the can and then rinse the beans out while they’re still in the can. It’ll end badly. Empty the remaining cans into the soup pot and add another 2 c. water. Simmer covered for at least 15 minutes. Serve with your choice of toppings. Add 1 more point for each of the following: 4 crushed tortilla chips, 1 1/2 Tbsp. light sour cream, 1/3 oz. shredded cheddar cheese. Woo hoo! Number 1! Go me! Kate, I'm excited about this recipe because I'm FREEZING up here lately! And, I have yet to find a great taco soup recipe. This one looks REALLY good! I think I just might make it tomorrow! Thanks! Thanks for doing the points. I'm getting started on eating better too and my husband is sure to join me with food this good! Delish! I'm making this for dinner tomorrow night. Thank you so much for the healthy recipes and including the new point values-you rock! I'm loving that you are posting all these recipes with WW points. I have been using WW off and on for years to maintain and regulate my weight. I really appreciate their new point system as it actually encourages healthy eating. I've already made two of your recipes this week…the black bean soup and the spinach feta pasta. Both were great! Keep recipes like these coming! You will be surprised at how many women want good ww recipes! Have you ever tried it with crushed tomatoes instead of diced? I'm really weird about chunks of tomatoes in things…I'm also back on WW and appreciate the points very much! I LOVE that you are adding the exact points for the toppings. I always hate trying to come up with the points for the little things like that! This looks super yummy! how much sodium is in this recipe…do you know? That is the only thing I worry about using so many canned goods and taco seasoning..maybe I will try with fresh ingredients! Thanks for the idea!! You can get low/ no salt added tomato sauce and canned tomatoes, and low sodium taco seasoning. Or use fresh tomatoes. I used frozen corn and ground turkey breast instead of beef. It would also be good using less taco seasoning and subbing rotel tomatoes for regular diced tomatoes. I can't wait to make this – it sounds easy, delicious and if it makes as much as it sounds, I can freeze some for later this winter too! and a question …. do you all find that Great Value brand of vegetables, tomatoes/sauces, etc are just as good as name-brand? I'm funny about textures of my canned veggies (I find some store-brands too mushy) so I've always bought Green Giant or Del-Monte or Hunts. This sounds wonderful. I might try making it with ground turkey which really accents the flavor of onions and garlic (even better than beef). I make it with Turkey all the time. Its great!! Mmm… sounds delicious and healthy! I don't need the extras, so even better. I've never done Weight Watchers… Can I ask, how does it work when you stop counting the points? Queen of Dishing–I haven't made it with crushed tomatoes, but I totally bet you could! Brandi–It has the potential to be really high in sodium, but you can buy some or all low sodium or no salt-added products, including the taco seasoning. Also, rinsing the beans and corn will help a lot with reducing the sodium. Jenn–I'm picky about my tomato products, too, but I really like the Great Value brand. I also really love Western Family tomato products (if you have stores that carry those). NikiTheo–Generally, by the time you've lost the weight you want to lose, you've kind of trained your body how to eat healthily. When I lost weight before, I maintained it without tracking anything for about 3 years (until I got pregnant the first time). But you can become a lifetime member and still track what you're eating if you want. Did not know about reducing sodium by washing. Thanks. First time to your site. Like what I am seeing. Thinking about starting WW. Your site might have just motivated me (I dread thinking of what to make for dinners, esp while doing WW). Thank You! My daughter and I just joined Weight Watchers and can't wait to try this! p.s. – Love, love, love your blog!!! I thought maybe our brain sharing was over with 2010 but I was wrong! 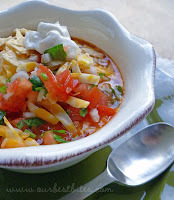 http://betsylife.com/?p=2260 I love taco soup! I love what you wrote about rinsing the beans too. My husband always tries to rinse the beans in the can and I inevitably have to re-rinse! Happy New year! Thank you so so much for posting the WW points! i can't say it enough! I'm definitely going to tell my meeting about this recipe- they'll be stoked! My brother makes this soup too! He makes it a bit different though. Will have to post the recipe sometime soon. His has chicken in it and chili beans. Wonder how much of a difference in taste would there be if made with chicken and a little bacon instead of ground beef? My recipe for taco soup has a package of Hidden Valley Ranch dressing which gives it a zing and I use Rotel or Mexican style tomatoes for an extra zing. Not sure if that would add to the points or not. But it is good and my Taco soup is my 2nd most asked for recipe. I also use a combo of kidney beans and black beans. I love black beans. Keep the WW recipes coming! Just joined and really need inspiration on what to make to keep me on track! So excited to try this! We love Taco soup around here. This had been a standard recipe at my house for almost 7 years. To Queen of Dishing: I always make it with Crushed tomatoes instead. I'm with you; I don't care for the chunks either. My recipe is very similar, but I have never put garlic in it. I will have to try that! A couple things I do that I really like: I add 3 beef boullion cubes with the 3 cups of water, add 1/2 cup of salsa and throw in a can of green beans with the other vegetables and beans. Yum!!!! Also, if you're not counting Weight Watchers points, try this with Fritos. Very good. I love Taco Soup!! I make it alot during the fall and winter. I make mine slightly different, Similar to Tessy's post. I add pinto beans as well. I have to agree with her it adds a very good flavor. I'm considering joining WW, since I have a 2 mo old and need to loose the baby weight. I appreciate the point count. Thank you! Omit the corn and tortilla chips and you've got a South Beach Phase 1 friendly dish too! That looks yummy! And thanks for posting Weight Watchers points! LOVING the weight watchers points on the recipes! I have already made a few recipes that you have posted since the beginning of the year. How much is one serving of this soup? 1 Cup? Kristin–A serving is 1 1/2 cups. Please please please continue posting WW healthy main dishes for as long as you can!!! I have been wanting to make Taco Soup for a few weeks now. Thanks for the recipe. Thanks for the recipes. My husband and I just started our new years diet plan and these recipes are the bomb!! I made the Feta Cheese Penne the other night and my family loved it. This taco soup sounds fab too. Thanks for the points system. I've never done WW, how many points can you have in a day? Please keep the recipes coming. My family loves them. This might be a BIG favor to ask but I'm not doing WW. I am however, watching my Carbs because of diabetes. Any chance you could add in the carbs for the recipes you post? I would LOVE you dearly. This looks so yummy I think I'll make it this week. Awesome.. and oddly enough, i've been thinking about making taco soup the last two weeks. I did the WW thing last year and lost a bunch of weight. I really beleive in their system since it encourages the thigns I've found work on my own when I lost weight pre WW — lean protiens, veggies, smart carbs etc. I'm trying to get back on the bandwagon since I've gained *relationship* weight and want to go back to being a hottie. I love healthy recipes, although I'm struggling since the relationship weight is courtesy of a man who doesn't eat veggies — which are a mainstay when i'm maintaining. I'm trying to learn how to cook for the both of us in one pot and it is difficult. I guess this is preparation for when the kiddies come? Thanks for sharing. Please keep the WW points+ coming! Just wanted to add to the comments YEAH for WW points. You are awesome. Anyway… I like so many struggled through the holidays and feel so discombobulated not knowing the points value of anything. Before the system changed I was an old pro. I just knew everything wiht out having to look it up. Thank you for doing the work for me. Like for reals…I am making all your recipes this week and it has helped me so much to stay on track. WW is the best. I love that you can live a real life and still eat yummy stuff and still be in control of yourself. Good luck. If I can do it, anyone can. I'm so glad you are doing Weight Watchers and have the points to go along with the recipie! What a help!!! dark kidney beans or light red? I also add an envelope of Ranch dressing. Yummy! This is also really good with diced avocado and a squeeze of lime. Yum!!! Thanks for all the posts this is by far my favorite food blog spot and I can't wait to see what the new points would be for your creamy tomato soup! What is the deal with new weight watchers points? How is it different? I am still using the old books I have had for 3 years. Banana Pancakes: On the old system, I got around 20-22 points, but with their new system, I get 29. Foods that are high in refined carbs are now higher in points, but nearly all fruits and veggies are free. I've honestly not felt hungry or deprived the whole time! Jenn–Yep, you can use light kidney beans. Or black beans–they're also super tasty! MollyE–They just revamped EVERYTHING. You get more points than you used to, but a lot of the values have changed. Like…my Subway sandwich when I did it before was 4, but now it's 7. However, most fruits and veggies are 0 points (whereas bananas used to be 2). When you calculate points, it's no longer calories, fat, and fiber; instead, you calculate them using fat, fiber, protein, and carbs. Really, it's just guiding you toward eating healthy, high-quality complex carbs, lean proteins, and lots of fruits and veggies. Yay! I'm so glad you posted this! I just rejoined WW a week ago and kept thinking I needed to find a good taco soup recipe to make. This looks perfect! I love Taco soup! Yours looks amazingly delish!! This looks so good! I love tacos and soup so I'm sure it tastes great. I just wish I had seen it before I hit the grocery store. It will definitely be on my list next week though. And thanks for the info on the new WW system. My husband did it about 5 years ago and just said he wants to do it again. I had no idea the point system had changed. Thank you so much! I was just trying to figure out what was for dinner when the daily email came across my desk. This is what we are having tonight! I am like a previous poster and also have a weird texture thing when it comes to chunks of cooked tomatoes so I will be using crushed tomatoes. Glad you think it will work. These are all ingredients I have on hand. Yipee! Thanks for the info Kate. Very helpful! Hi just wondering if you know how many carbs there are in this recipe? Amanda, I can't remember for sure; I had to have them to calculate the points, but I accidentally closed the window before I wrote them down. I remember them being in the high teens/low 20s. Hope that helps! This sounds like such an amazing soup!!!!! Perfection! I am all about being a broker than broke college student. My husband is going to love this soup! THANK YOU for a quick easy recipe to throw in a pan when i get home from classes! Really good, I would have liked it a little more spicy though. For my kids it was perfect. This makes a ton! This was great — made it tonight for the dh and kids. It was a big hit! I make this all the time. It's one of my favorites. We add a packet of ranch dressing sometimes and it's extra tasty. I've had this recipe for several years without the beans and love it. I just made it with light red kidney beans. Light red beans are totally the way to go if you don't like kidney beans very much. I also boiled it about twice as long since I don't like canned beans unless they're cooked for at least a half hour. So delicious! Thanks! Funny, I had some ground beef to cook tonight and made my own version of this for dinner – before I read my email. Used black beans and no tomato sauce and served over leftover rice. So easy, fast and yummy. Yum, love the awesome pictures as usual! Oh my goodness my mouth water within seconds! everything looks delicious! I am officially your newest follower! I do weight watchers and love that you are doing points with these. It is so hard to find trusted WW recipes that don't break the bank. I know anything I get here will be delicious and satisfying! Thanks for the recipes! Oh, is this points per cup? I stumbled upon your blog and I love it! I am making "taco soup" for dinner tonight! I am a new blogger so I just wanted to let you know that I have added you to my favorite blogs and I also featured your "Taco Soup" on my Blog under What's for Dinner. I love your blog…taco soup is one of my favorites…have you tried adding an envelope of Hidden Valley dressing mix? Yum….This is very close to my family's taco soup recipe. I change up the beans according to what I have on hand. I LOVE black beans in it! I've done black and pinto, black and kidney, etc…it's all good!! Another twist that was super yummy is Chicken taco soup! I just used chicken broth instead of water and shredded chicken (like one of your yummy mexican chicken recipes). Delicious!!! I made this tonight for dinner & it was delicious! I didn't have the kidney beans so I just substituted with what I did have on hand. Also, I like the flavor of cumin so I added at least a Tablespoon. Looks SO yummy! I love taco soup!! LOVE the healthy food! Keep 'em coming! WW is the best! I lost 92 lbs last year following their plan, but on my own. Good luck! Thanks for this de-lish recipe. Is the taco soup with the taco chicken (in your archives) also a healthy choice too? I love that recipe of yours and make it all the time… so I'm hoping it's good for me. Emily- congrats on your weight loss! And yes, that other tortilla soup is really low cal, so eat up! I have been making something similar for a couple of years. Its a fav and we could eat it all the time! I also add a ranch seasoning packet to mine but otherwise the ingredients are the same. I often make a double batch! wow – thats a LOT of soup! Thank you, thank you!! I LOVE taco soup and sadly my husband doesn't. Now I'm totally excited to make it and freeze it in individual servings so I can eat it for my lunch. I don't know why I never thought of that before. My kids will be jealous – they love it, too. oh well – that just means LOTS of healthy, yummy lunches/dinners for ME! This is a keeper! But wow, you really do need the BIG soup pot – I had to switch pots partway through to handle everything! Thanks again guys. I input this recipe into my DailyBurn account (www.dailyburn.com) and this is the nutritional info it gave me: (I estimated 12 servings in a pot, but there might be more). I didn't specify low sodium tomatoes or anything. Kiersten–Hmmm…that's a big difference! What % of ground beef did you calculate it with? And how did you measure the beans? i love this recipe! when i make it i used ground turkey! its so tender in this soup! Kate, I input 500 g of lean (not extra lean) ground beef. I had to fudge some of the measurements because of the way the recipe builder on that site works, and I'm not sure my total number of servings is accurate. I don't measure my food, so I only guessed that there were 12 servings to a pot – there may be more, which would make the number of calories per serving less. Either way, it's a pretty low-cal soup! thanks for the update on the serving size, this recipe looks yummers! Can't wait to try it. Thanks for listing the nutritional content. I am counting calories. Much appreciated!!!!! This a great soup. I make mine with chicken instead of beef. I was just looking through your site and discovered your taco chicken recipe and was thinking I try that in it. Plus I had black beans and its all yummy. So glad I found your site! My husband and I have been on WW for awhile, and when I first saw this in my email, I knew I was going to have to make it. I bought all the stuff to make it, and then I had to quit WW! Just found out I'm pregnant with our first child. WW or not, I'm still making this soup. It's on the stove right now and it smells wonderful! I might be making this a lot over the next 9 months. This is the taco soup recipe I've used for years. It's great, but I use a can of tomato soup rather then the tomato sauce. It's my fave!! I made this tonight and it was fantastic! Can't wait for that cookbook! Will recipes from your blog be included in the cookbook? Thank you Kate! I love your blog and visit often! Here's my take on your YUMMY soup! It's wonderful! I made this for dinner last week (used turkey instead of beef) and both my husband and I loved it. Plus, it was so easy to make. Thanks for the idea! My mom makes this a lot and its sooo delish. Its not become a staple in my house. Sometimes we put it over lettuce for a salad (just drain some of the liquid with a slotted spoon). yummy! I made this last night for company, but used shredded chicken (because it's what we had) and I accidentally got two smaller cans of tomatoes so I added 1 cup of chicken broth in an attempt to make up for the lost juices. Yikes. Luckily it turned out GREAT! And I have NEVER thought of putting pico de gallo on soup before but I can't thank you enough for that idea. YUUUUUUUM! Thanks for an easy, healthy, and cheap meal idea! oh my gosh, this is so good! i just made it for my family & the hubby & son loved it! due to my husband's undying love for ranch beans, i substituted 1 can of those for 1 can of the kidney beans, rinsed & drained, and it turned out so yummy! next time i may try my fave, black beans. i also used only 1 can of tomatoes. such an amazing recipe!! thanks so much! I am so excited about your blog! My friend just told me today that I should check out your blog (specifically because of the post about flavored hot chocolate, YUM) and it's definately a keeper! I am making this soup (and the pico de Galla) for dinner as soon as I get home from work and I can't wait! I love that it looks so easy and delicious and low cal! I can't wait to enjoy it!!! I made this on Wednesday during a little snow day we were having in NJ, and i have eaten it everyday since, and I am a little sad that there is only 2 cups of it left. It is SO delicious and filling and fits perfectly into my new WW recipes. Cant wait to see what other WW friendly recipes are to come. Thank you so much for this recipe, it made a cold turn much warmer. I changed a little the recipe wit products that I have and posted it on my blog with a link to yours. Made this today in the slow cooker. We don't eat much ground beef in our house so I threw in a pound of frozen chicken breasts with the soup and let them cook all day. Then chopped them up before serving. This made plenty of leftovers to freeze. I think next time I might use less tomato. We love taco soup too for all the same reasons. But instead of the extra water we add a can of V8 juice (spicy works great too). A little more flavor and a little creamier. Years ago I did WW and they had a mis print in their book that one peanut butter cup was 15 points. I was going along well, loosing weight, and then one night I had a dream that I ate a 15 pt PB cup. I awoke crying. Making this today in the slow cooker 😉 Do you still have the three cups of water when cooking in a slow cooker? Yep, you really can make it exactly the same and just pop it in the slow cooker. I LOVE this recipe. I recently tried it and I am totally going to make it again. I really love how much it made, too. I had enough for dinner for my family of four, leftovers for my lunch twice and enough to give as a freezer meal to a lady I visit teach. I had it yesterday for lunch at work and I literally scarfed it down it was so good. Plus, it’s diet friendly. Yay! Thank you so much for sharing. I have made this recipe but in it my recipe calls for a package of Hidden Valley Ranch mix. It makes it taste even better also don’t drain the bean, or corn. I got it at a weight watchers meeting years ago when my son was 9 so lets see 20 years ago. WOW!! I stopped looking for a decent enchilada soup recipe a few months ago because everything I found online was just blah. But I came across this taco soup recipe and its the next best thing. I might tweek this up with chicken and maybe some ancho chile but for now this will do for dinner tonight! BTW, I found this site yesterday and haven’t gotten off it since. I am absolutely in love with this site. You guys do a great job at connecting with moms who are looking for semi-homemade lifestyles. SIDENOTE: I am amazed at how much in common I have with you guys. Its like you know me! I have used the Taco Soup recipe…it’s great! I have revamped it at times and used veggies, instead of beans, and it’s very tasty! It’s an idea for something else to try. Always looking for new ideas for WW menues. We have a small group up where I live that gets together each week to help each other out loosing weight. I will share. I would love to see more recipes with WW points, Thank you! What is the serving size for 4 points? I added a can of refried beans. It helped to thicken it. This is a great soup to add in a little quinoa. It isn’t really noticed but adds in a healthy grain! I liked your comment at the top about how you made this all the time as newly weds. We’re not quite married yet (this June!) but we moved together for a new job one of us had (which turns out harder to plan a wedding from out of town with my church between him taking membership classes and planning the decoration but anyway) and we are seriously broker than broke. It’s a luxury to order pizza. BUT I’m trying to get into doing more slow cooker type meals and freeze them (my mom recently bought me one 🙂 ) and this one looks great! But is there a way to unthaw soups I don’t know of? Last time we tried our vegetable soup tomato base like somehow separated from the water and our noodles were hard and crusty and I hate to waste food. Any ideas? LOVE LOVE LOVE this soup, coming from a non-tomato lover – the only changes I made was to cut the cans of diced tomatoes to 1 and I used petite diced (I did make once before using 2 cans and found there were just too many tomatoes), and I used 1 envelope taco mix and probably another 1/4 of another. DELICIOUS! 🙂 Thank you!! Made this soup tonight and it was delicious! This recipe is cheap to buy for and makes a ton of servings! I froze half of it and def will be making this again! Simple and delicious. Thanks for another great one! Made this last night and both my children ages 13 and 6 and husband loved it! My kids won’t eat kidney beans so I used one can pinto beans and one can chili beans. They want me to make it again. This mom is happy! Thanks!! This was awesome. Added white rice to it as well just to test. Delish!! Made it to freeze for later meals and it worked out perfectly. I cannot believe something that tastes so good is so low in fat and calories! YUM! I just made this soup tonight, and it was delicious! Thanks so much for all your yummy recipes. This is my go to soup. The only thing I do differently is that I use fire roasted crushed tomatoes instead of the tomato sauce. Super easy and yummy!! !